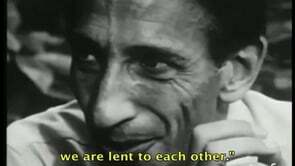 The idea of Tools for Conviviality was put forward in the early 1970's by Ivan Illich, the philosopher, writer and educational activist. The ideas emerged from work done in Mexico and were published in a book of the same title, following on from the radical work "Deschooling Society". 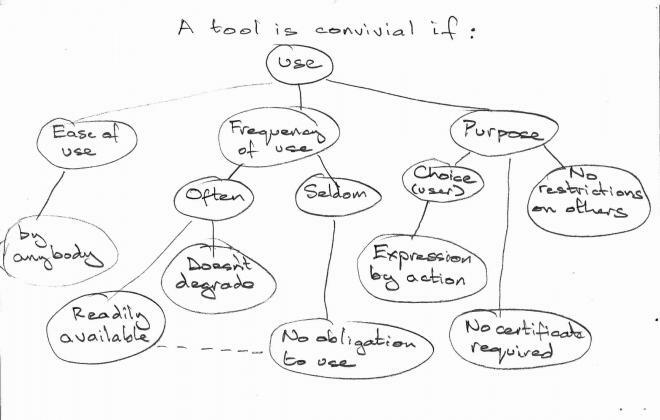 A summary of Tools for Conviviality may be found here. The word "convivial" carries an extra layer of meaning to its everyday use: at its root it is simply "living together". "As an alternative to technocratic disaster, I propose the vision of a convivial society. A convivial society would be the result of social arrangements that guarantee for each member the most ample and free access to the tools of the community and limit this freedom only in favor of another member's equal freedom." Illich wrote extensively about the "technocratic disaster" of industrial and consumerist societies, developing political and economic ideas such as "counterproductivity" and "radical monopoly". He proposed Education as a key factor in achieving a better society. Education, however, is little use if people are denied the appropriate tools that they need to create that future world. "Convivial tools are those which give each person who uses them the greatest opportunity to enrich the environment with the fruits of his or her vision. Industrial tools deny this possibility to those who use them and they allow their designers to determine the meaning and expectations of others. Most tools today cannot be used in a convivial fashion." they allow the user to express meaning in action. In a convivial society, users help each other to achieve high skill levels with convivial tools and formal "training" can be kept to a minimum. Illich's work seems to stand the test of time, although updating it to a 21st century perspective leads us to question whether tools that use large amounts of energy, in particular fossil-fuel energy, can in any way be termed "convivial".